I don’t know about you, but the first of the year is a time that I want to make plans. New Years Eve is about reflection, New Years Day is about action. Last year I used the Popsugar challenge as a guide (you can read all about my reading last year here, here, and here) but I found it frustrating. I enjoyed that it made me read books that I’m not normally drawn to, but really, does it matter if I read a book with a number or a color in the title? I felt like it was impossible to bust my stash of unread books when the categories were so specific. My reading became sluggish when faced with only unappealing options. I also felt the the stringency of the categories made me want to rebel, and not play within the spirit of the challenge. 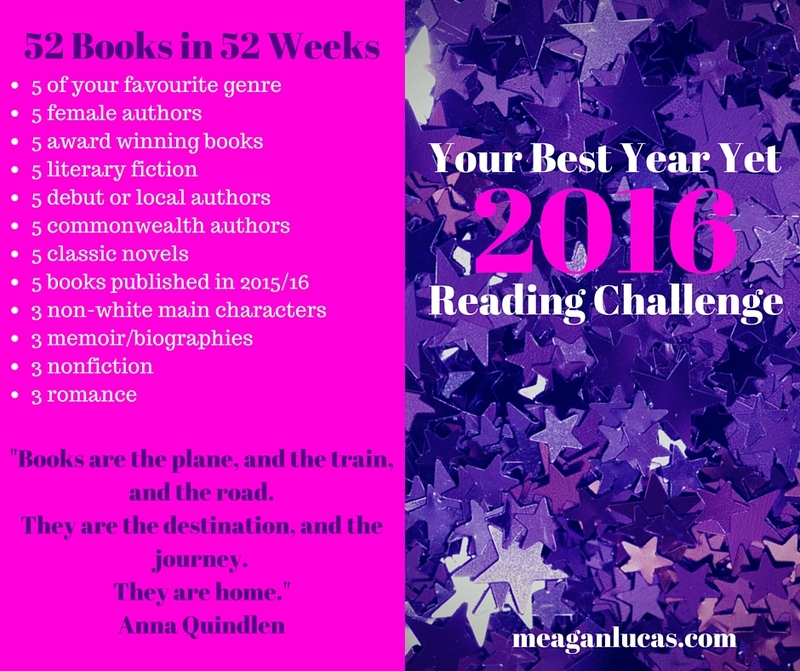 I feel like this reading challenge will encourage me (and hopefully you) to keep reading. To put down your phone and pick up a book. The categories are broad enough that you can bust your unread pile, and always find something that you’re excited to read, but should also encourage trying something new. If you want to read along with me, below is a link to a printable PDF where you can keep track as you plow through. Also, I want to hear from you. Your successes and your challenges. Please comment or email me! I want to hear from you! Get reading friends! Get reading!